Welcome to poultrysites.com. Home of the Poultry Show Manager. Begin you journey into the poultry world here. We offer web hosting service and webmaster service to clubs and individuals. For pricing please see our pricing page. In testing, is a system to allow shows to host their show page on our site for free including show documents and results. This system is currently in testing and is going to be very easy for shows to use. It will work with our online application scripts too. We know how busy the staff of a poultry show can be. We are here to help. 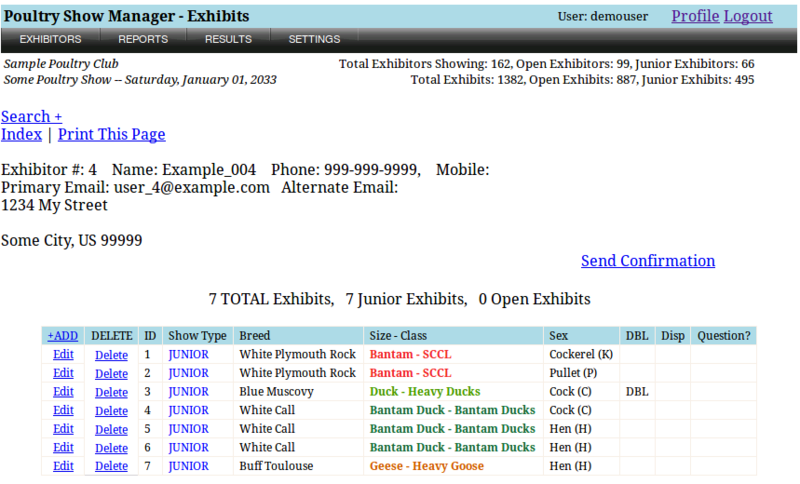 Our software will help with the paperwork and save time with your poultry show. For more information about our Poultry Show Manager see our detailed information.